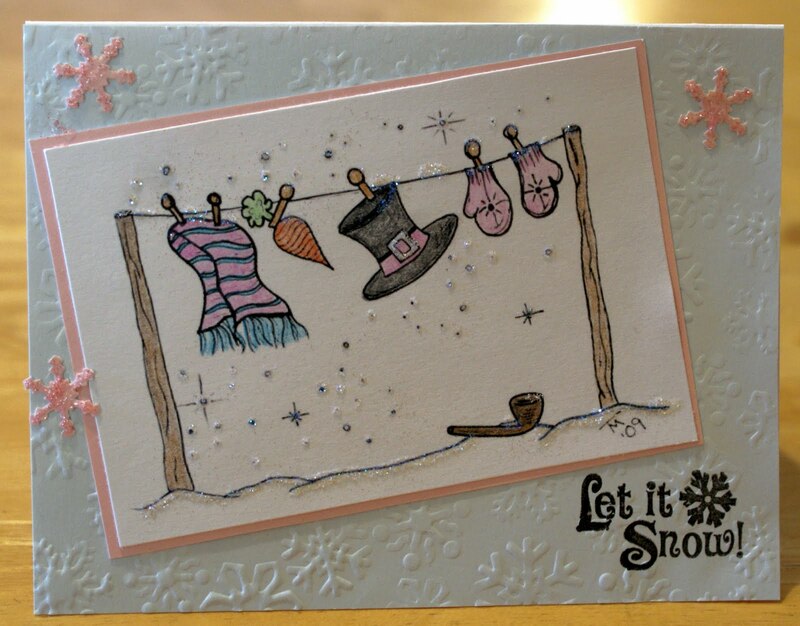 This cute image that I used on my card is a digi image called "Snowman Laundry Line" and is available for purchase at The Stamping Boutique. I love this stamp!! Your embossed card looks great and I love the sentiment & flake. Mary, this card is adorable! Thanks so much for joining us at PTW! hugs!